Room was clean and bed was fine. I had a good night's rest. The room rate is relatively low, so it was good value for money. The hotel owner / manager was really helpful in letting us store our race bikes overnight in the hotel - much appreciated. Het 2 persoons hoekbad... echt heerlijk en verder superschoon en netjes! Kamer was ruim van opzet en mooi ingericht. Niet te druk, of teveel poespas maar gewoon doordacht. Prettige ontspannen sfeer, vriendelijke eigenaren. Gezellige sfeer in de bar ´s avonds. Ontbijt Prima! Het Peeljuweel This rating is a reflection of how the property compares to the industry standard when it comes to price, facilities and services available. It's based on a self-evaluation by the property. Use this rating to help choose your stay! Het Peeljuweel is a small hotel located along the church in the village of Ospel. National Park De Grote Peel is nearby and you can park your car for free. The rooms have a TV and a sink. Some rooms have a shared bathroom while others have private facilities. You can ask for a room that is suitable for families. 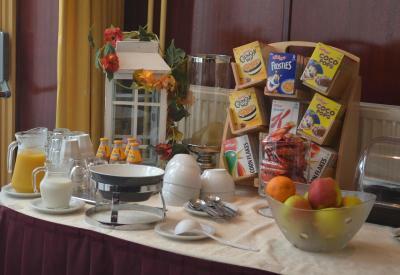 The hotel offers extensive breakfast and lunch packages. There is a spacious cafe with a bar where you can play billiards or darts. The national park offers various walking tours. You can also go biking nearby Het Peeljuweel. The attractive small cities in the area are worth a day trip. When would you like to stay at Het Peeljuweel? Simple, neat rooms with a bathroom on the hallway. Basic room with TV and a private shower. Luxurious room with spa bath. House Rules Het Peeljuweel takes special requests – add in the next step! ATM card Debit card Het Peeljuweel accepts these cards and reserves the right to temporarily hold an amount prior to arrival. Het Peeljuweel accepts these cards and reserves the right to temporarily hold an amount prior to arrival. Showers and WC being in a hall way. Street noise. Room with everything you need for a fair price. Having to climb the stairs with my trolly. Old carpet on floor, also bath. Dimmed lights only, not bright enough for reading for exampe.